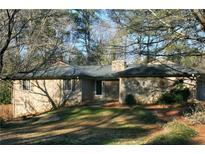 Find Roswell, GA Foreclosures for sale. View Photos, Maps and MLS Data Now! Manchester Place - Come See This Move-In Ready Unit Today. MLS#6539790. Realty One Group Edge. Northgate - Update, Owner Working With Lender On Modification. MLS#6128864. Keller Williams Rlty Consultants. All It Needs Is A Little Love From You To Make It The Best It Can Be. MLS#6106802. Maximum One Greater Atlanta Realtors.